Atoms for Peace are Thom Yorke, from Radiohead, Flea from Red Hot Chili peppers, Nigel Godrich, Radiohead’s producer, Joey waronker, who has played with Beck and REM, and Brazilian musician Mauro Refosco. 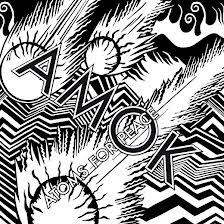 “Amok” is essentially Thom Yorke’s second solo album, after “The Eraser” in 2006. It was released in February this year. Here’s a starter for ten. One of my favourite tracks: “Default”. It’s a new Radiohead album, really. Without most of the band. It is redolent of the electronic beats of “Hail To The Thief” and “King Of Limbs”. It has a harder edge than the latter, and is more rhythmic than the former. It reminds me a lot of some of the amazing sounds we enjoyed at the Radiohead concert at the O2 in London in October 2012. See my review of that concert here. It was brilliant, and some of the best stuff was when the band really went for the industrial beats. “Amok” takes that sound and spreads it over a whole album. The more you listen to it, the more it gets to you. It’s not a singalong sound. It’s an electro-dance concerto. Well, I’m not sure you’d dance to it, other than flinging yourself about in Thom Yorke style. But it has a serious and powerful beat. So many great sounds. “Ingenue” has a video, so here it is. And here is another superb tune, “Stuck Together Pieces”, with a pulsating bass and a little bit of that chiming guitar that featured on “In Rainbows”. Yes, Atoms For Peace are different to Radiohead, and the musicians on this album make the sound their own. There are some wonderful, mazy bass lines, courtesy of Flea, I assume. But because Radiohead are so experimental these days, I could imagine them making exactly this album. Or something else completely different. Which is why I think Radiohead are, right now, the best band in the world. 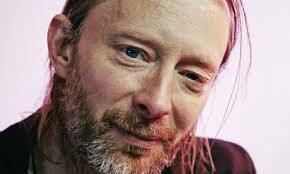 And Atoms For Peace will do in the interim. This entry was posted in Music - Have You Heard? and tagged Amok, Atoms For Peace, Flea, music, Radiohead, Thom Yorke. Bookmark the permalink. Ah! So much more to hear. I haven’t got around to this (that’s true for so many, many, many albums that I’d like to) yet. I hope it’s sufficiently different from Radiohead. Otherwise why another band? Similar but different! I guess the chance to make music with different people is always going to be tempting. Helps the creativity.